Ford’s stunning new 2017 GT supercar has been tethered to the video game world since its debut in January. At the same Detroit Auto Show where it made its long-awaited return, the Ford GT was also revealed to be the cover vehicle for Forza Motorsport 6 for the Xbox One, and it has since gone on to feature prominently in the game’s advertising and inspire a limited-edition 1 TB Xbox One console. 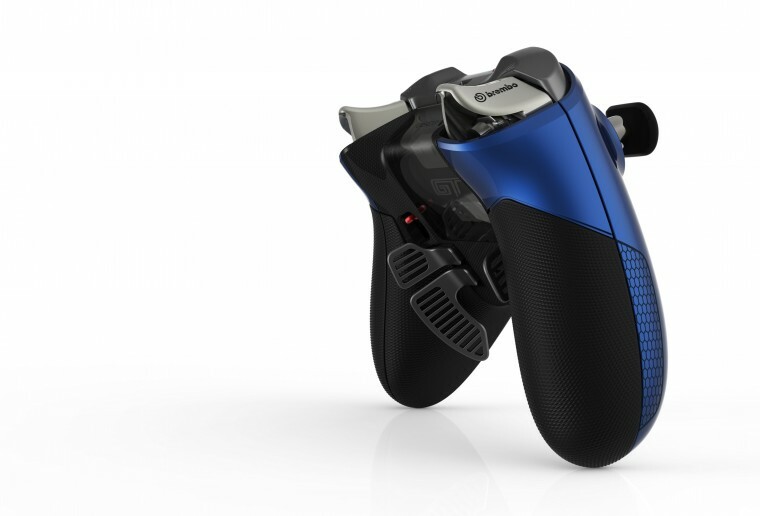 For its SEMA 2015 Showing, Ford took that connection a step further with Xbox Elite Wireless Controller design studies depicting not only the brand-new Ford GT, but also three of the classics. 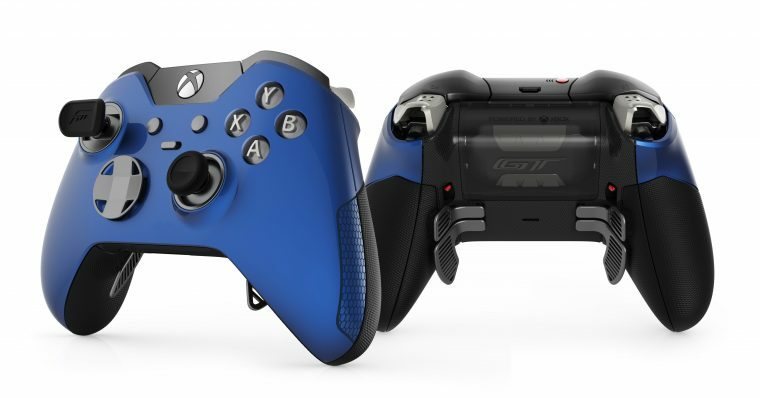 The Xbox Elite Wireless “GT” Controller is inspired by the same hue of Liquid Blue in which Ford debuted the GT, Focus RS, F-150 Raptor, and Shelby GT350R. It draws more information from the GT insofar that it actually utilizes carbon fiber, its left thumbstick is built to emulate the GT’s steering wheel, it features custom paddles that resemble the GT’s paddle shifters, and the battery is housed in a see-through pack similar to the compartment that houses the GT’s EcoBoost V6. Oh, and it’s incredible-looking. Better still, Ford created three “Moments in Motorsports” Xbox One Controllers, each modeled after a Ford race car of historical significance. There’s the No. 5 Shelby Daytona Coupe, which was driven by Bob Bondurant and Dan Gurney at Le Mans in 1964 and finished fourth overall and first in the GT class. There’s the No. 2 Ford GT Mk. II that famously went like hell and beat Ferrari at the 24 Hours of Le Mans race in 1966 and was driven by Bruce McLaren and Chris Amon. And there’s the No. 1 Ford GT Mk IV that finished, well, number one at Le Mans in 1967 in what later became known as “the race of the century” and whose post-race antics saw Dan Gurney set a champagne-spraying precedent for all Le Mans to come. Sadly, Ford is clear in that these are all merely design studies. However, Ford would probably be really, really wise to just not stick to that whatsoever and sell these things for $70-$80 a pop. Because they would probably sell, like, a ton of them. Think about it, Ford.